Most people think of the Tao Te Ching as a book on philosophy or a treatise on leadership. Yet there is a little-known treasure hidden within the familiar passages of Lao Tzu's work: step-by-step practical guidance for the spiritual journey. 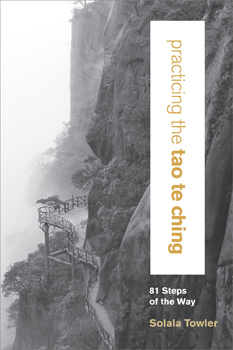 With Practicing the Tao Te Ching, renowned teacher Solala Towler reveals a new facet to this spiritual classic, offering accessible practice instructions paired with each of the 81 verses of the Tao Te Ching. "Tao is a way of deep reflection and learning from nature, considered the highest teacher," writes Towler. "It shows us how to follow the energy flows within the heavens, the earth, and our own bodies." With lucid instruction and deep insight, he guides you through meditations, movement and breathing practices, subtle energy exercises, and inner reflections - all to help you to embody Taoist wisdom in every aspect of your life.